If you want to own a Gyro in the UK, the big question is: What is available? If you read various magazines you will read about all sorts of Gyros that are manufactured but very few models are actually legally flyable in the UK. This page of the website lists ALL the manufacturers who are currently in the UK market and their current models. The information on this page is updated as we hear about it....and we usually hear about it first! Registered users of the website can drill into more detailed information, including information on manufacturers who are trying to enter the UK market but not there yet. Rotorsport UK are the importers of the MTO-Sport and Calidus which are manufactured by a company called Auto-Gyro in Germany. Rotorsport UK are based in Shropshire, England. The organisation is headed by Gerry Speich, an engineer who is an integral part of the design team. 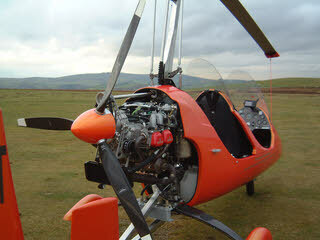 Rotorsport UK were the first company to introduce a factory built Gyro to comply with Section T in the UK. This was the MT-03 and is the machine which in our opinion is responsible for The Gyrocopter Revolution in 2006. If you would like to see more information about this machine in the UK, or the photo gallery of these machines in the UK, please register and logon. The Calidus is a factory built fully enclosed 2-seat tandem Gyrocopter. Top speed is 120mph with an endurance of between 5 and 6 hours on a full tank of about 80 litres of fuel. The Calidus is not the same Gyrocopter as the MTO-Sport with the addition of a canopy, it is a completely new design. There are two canopy options, a fully enclosed canopy and a version where a significant portion of the sides are cut away. 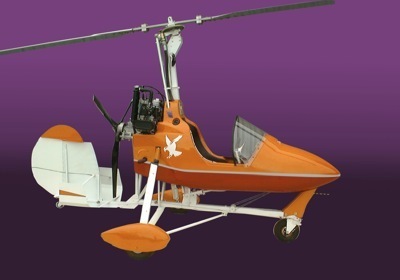 The Gyrocopter Experience - York is the only flying school in the UK with an order for a Calidus Gyrocopter. It is serial number 3. The MTO-Sport is the successor to the popular MT-03. This is factory built open cockpit 2-seat tandem configuration machine. Top speed is 120mph with an endurance of between 4 and 5 hours on a full tank of 70litres of fuel. Available with a Rotax 912S or Rotax 914 Turbo engine, this is a machine that reflects German Engineering. It is a very nimble machine to fly and is used by a number of training schools in the UK. Magni Gyro UK are the UK distributors for the Italian manufacturers and parent company Magni Gyro. Magni Gyro (originally called VPM) have been supplying machines to the UK since 1991. Their 2-seat tandem VPM was the machine used for 2-seat training by many instructors. There are still a few of these machines around, but none are used for training any more. The VPM, which was supplied in kit form, has been replaced by the factory built M16. 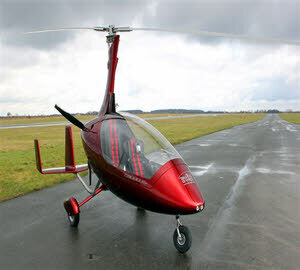 Magni Gyro have a range of machines but only the M16 is currently legal to fly in the UK. Their top of the range flagship, the M24 Orion should be available in the UK in the Summer of this year. The UK contact is Jeff Hoyle. The M24 Orion is the flagship Gyrocopter from Magni. It is a factory built fully enclosed 2-seat machine. 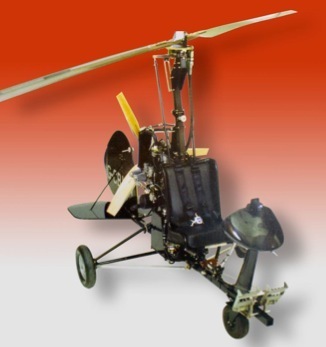 This Gyrocopter is serious competition to the R22 helicopter. There is more room in the M24 Orion cockpit than the R22 due to the clever design of the seats. This aircraft may become popular with training schools and tourers alike due to the side by side configuration. Powered by the Rotax 914 Turbo engine, it has a top speed of 115mph and a tank capacity of 82litres giving a 4-5 hour endurance. The M16 is a factory built open cockpit 2-seat tandem gyrocopter. It is the successor to the VPM machine that was used as a training aircraft by many instructors in the UK over the past 10 years. Although it is classed as a training machine it is an excellent touring machine and most of the models sold in the UK are to private individuals. It has been available in the UK since late 2009. Using the Rotax 914 turbo engine, the top speed is 100mph and the tank capacity is 71litres giving 3-4 hours endurance. 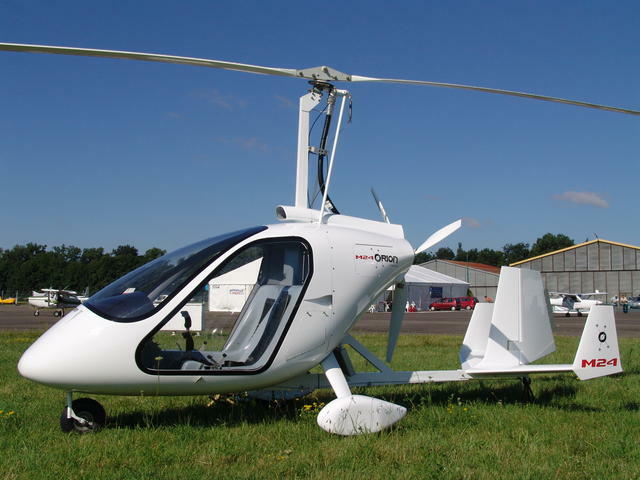 Layzell Gyroplanes Ltd is the only manufacturer of single seat Gyrocopter kits complying with the CAA?s stringent BCAR Section T regulations in the UK. 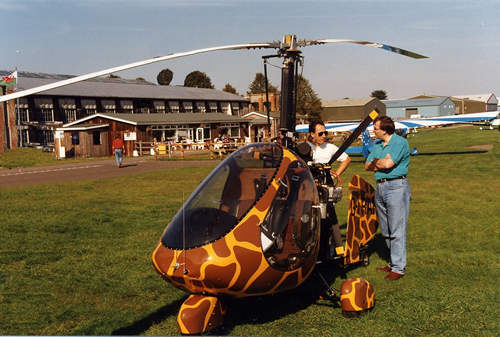 Their history stretches way back to the pioneering days of home built aircraft and their CEO and Senior Engineer, Gary Layzell, has many years experience in Gyrocopter design and construction. For many years they have been evolving the performance of the ?Cricket?, a well-established single seat machine which is now known as the AV-18. Last year they aquired the ?Merlin? from Montgomery Engineering which is available as an open frame or podded single seat kit. The Cricket or AV-18 is available to buy new as a self build kit. It is the first kit available that has been designed from the outset to pass the stringent BCAR Sec T and has the improved horizontal stabilizer. It has the reputation for being a very stable Gyrocopter. The AV-18 is available as an open frame machine (AV-18a) or a podded machine (AV-18b). It is powered by a Rotax 582 two-stroke engine. The Merlin (which used to be called the Montgomery Merlin) is available in both open frame and podded kits. It is based on the original Bensen design. All the metalwork in the kit is predrilled and assembly is relatively straightforward. Powered by a Rotax 582 engine, this Gyrocopter boasts a top speed of 90mph and an endurance of over two and a half hours. Rotary Air Force were a canadian manufacturer of the popular 2 seat RAF2000. They ceased to trade a couple of years ago and were bought out by a South African Company. You can still order and build kits by contacting the manufacturers in South Africa direct. You will need to apply to the LAA if you wish to start a build project. The RAF2000 has been around for many years and is available in kit form. It has been used as a training aircraft since it first came into the country. It is a side by side, fully enclosed Gyrocopter. Powered by a Subaru engine, this aircraft boasts the highest payload of any Gyrocopter in the UK with 340kg, having a top speed of 100mph and an endurance of around fours hours.